Ms. Winifred Park, also known as Winnie, serves as Chief Executive Officer of Paper Source, Inc. since September 2015. Previously, Ms. Park served as Senior Vice President of Marketing at DFS and Senior Director of Women’s Merchandising at Levi Strauss and Company. She has been an Independent Director of Express Inc. since June 13, 2018. Ms. Park is a seasoned business executive, with leadership experience across marketing, e-commerce, merchandising, and strategy at global retail and apparel brands. 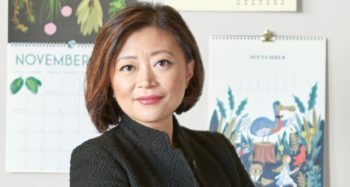 Prior to joining Paper Source, she held the titles of Executive Vice President, Global Marketing and eCommerce and Global VP, GMM, Merchandising during her nine year tenure at Hong Kong-based luxury retailer, DFS, a division of LVMH. Earlier in her career, she worked at McKinsey and Company, focusing on eCommerce, Apparel, and Retail. She holds MBA in Finance and Marketing from Northwestern University’s Kellogg School of Management; and B.A. in Public and International Affairs from Woodrow Wilson School of Public and International Affairs Field of Study.